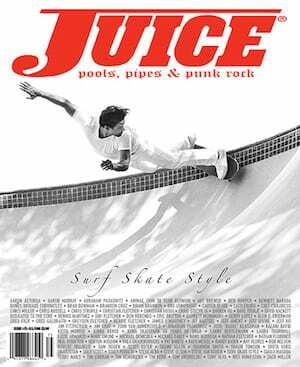 Juice Magazine 73 features two covers in tribute to two of the world’s most influential skateboarders. Shogo Kubo at the DogBowl, photo by William Sharp and Jay Adams at Bicknell Hill, photo by C.R. 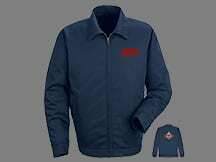 Stecyk III. 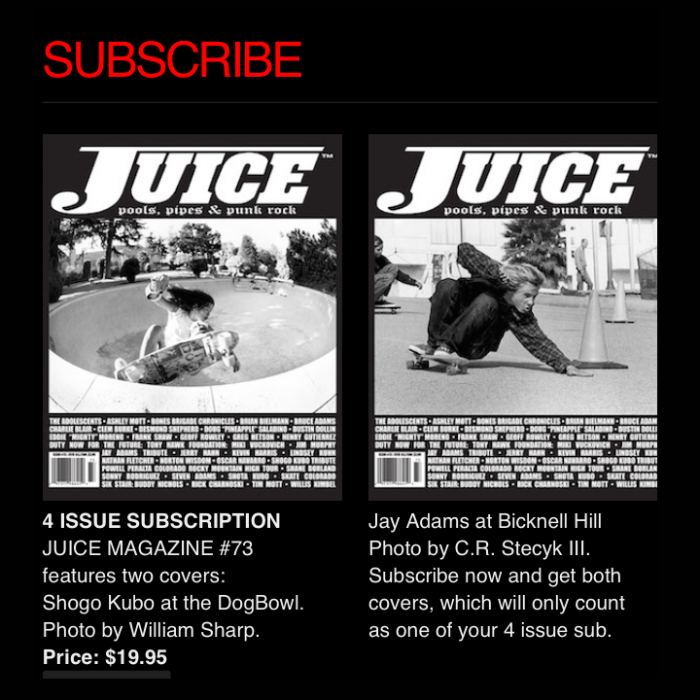 Subscribe now to get both covers of the new issue featuring Jay Adams and Shogo Kubo. 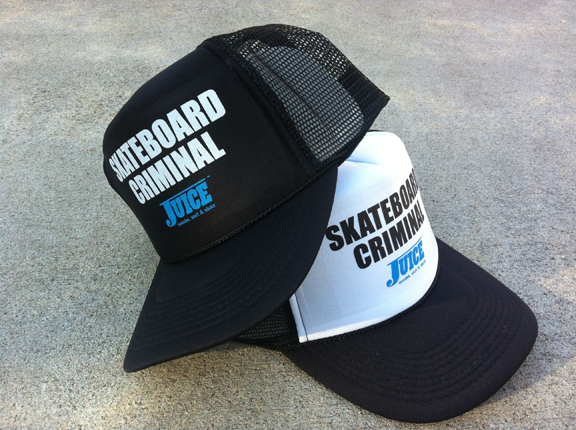 Juice #73 will begin shipping to skate shops, newsstands and mailboxes all over the planet this week. Give us a call at 310-399-5336 or email JUICEMAGAZINE@GMAIL.COM to reserve your print ad or website banner anytime. 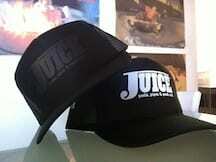 Juice Magazine has been dedicated to the core since 1993. Spread the word and thank you for reading.